I’m a sucker for a great inspirational quote. When the going gets tough, reading just the right quote can really help light a fire in my belly to forge ahead on a project/goal that’s important to me. And I KNOW that staying the course when it comes to your organizing and decluttering goals can be TOUGH. 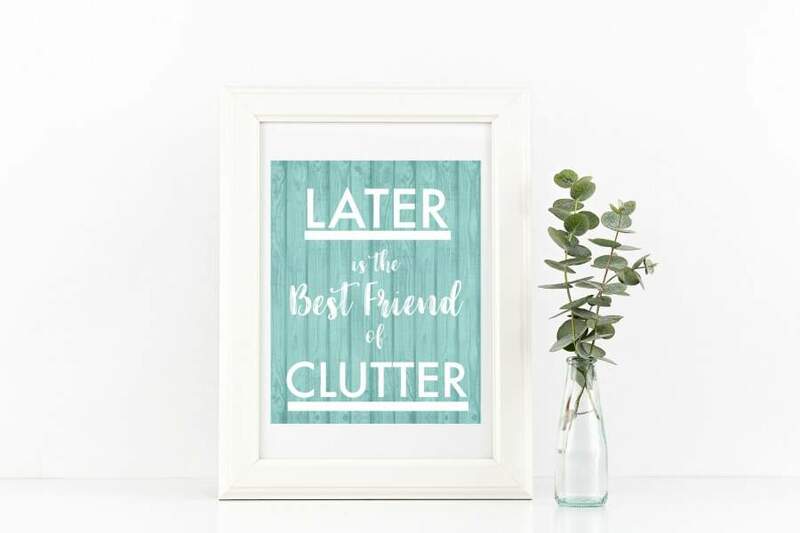 So as we close out Get Organized Month, I wanted to leave you with a little something to help you get inspired when your motivation to declutter begins to wane over these next few months. 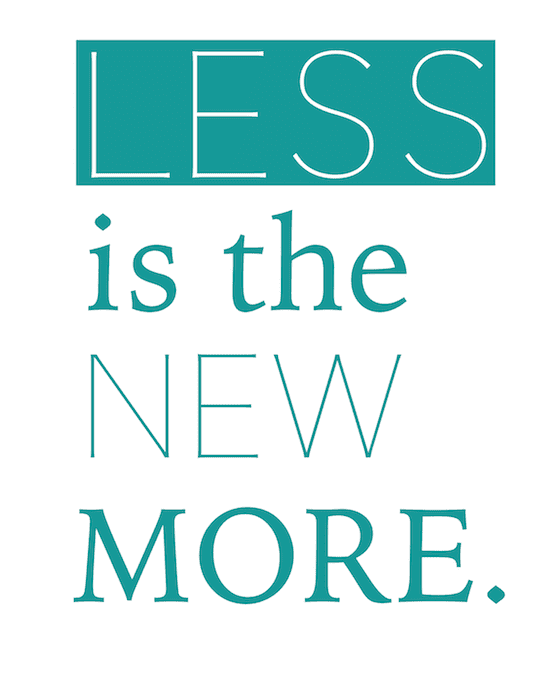 Living with less is all the rage these days. Just look at the capsule wardrobe trend! 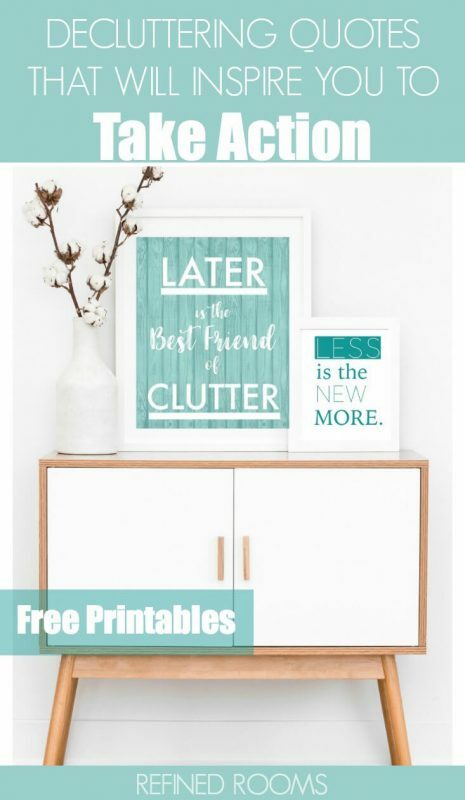 These inspirational quotes for decluttering really do give you a different perspective on the whole idea of letting go, striving for simplicity, and opening up space for possibilities, don't you think? Which one resonates with YOU the most? Need help with your decluttering efforts? « THE CONQUER YOUR CLUTTER SUPER BUNDLE (IT’S SUPER INDEED)! Those are clever and in my case much needed. Thanks Kimm! We can all use the regular reminders and inspiration! I love them all! As someone who’s on a permanent decluttering mission, I really appreciate the inspiration, thank you for sharing! If you can, come and join The Really Crafty Link Party (http://keepingitrreal.blogspot.com.es/2017/02/welcome-to-the-really-crafty-link-party-55.html). Have a wonderful week! Thanks Teresa! I will definitely check it out!